Back in my hometown of Findlay Ohio, voters, this November, will be asked to pass a renewal of a 0.25 percent income tax that was passed three years ago as a result of the great recession of 2008. The battle for the passage of the tax highlights how wrong Republicans are about taxes and economics in general. It mirrors the failures of trickle down economics on the national level. Three years ago, in the midst of an economic slump city officials hoped was temporary, Findlay voters agreed to raise the local income tax by 0.25 percentage point for three years. Those three years will be up at the end of the year, but on Nov. 6, the city is asking voters to make the increase permanent. They say the city needs the money to make up for other lost revenue, but opponents say the city has not done enough to tighten its belt. 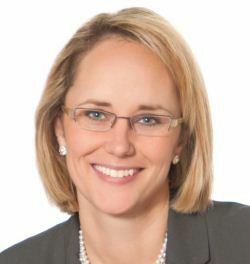 They are quick to point out that first-term Mayor Lydia Mihalik was elected after promising not to ask voters to renew the tax. She insists “this is not about playing politics with the city,” but says it’s a matter of a decline in revenue that was not foreseen three years ago. Yes, Findlay Mayor Lydia Mihalik was the ONLY Republican in the May 2011 primary who pledged not to renew the tax when it expired. That’s what people who want to be elected in Findlay do, they promise not to raise taxes. It was an easy call to make for Mihalik. The economy was in the crapper and the tax was needed and she assumed that it wouldn’t be needed after 2012. Business cycles almost command the economy to rebound even if nothing is done to goose it. But what actually happened is what happens when you have a temporary tax, the state is lead by the same kind of tax cut mentality, and the Republicans in Congress stunt the economic recovery at every opportunity. People don’t want to see tax increases yet the cost of living goes up every year. The costs of providing city services goes up every year – material prices rise, labor costs go up – yet no one wants to pay the increases as if they have a choice. They complain about increases in taxes and complain if city services are reduced. Mihalik says she’s done all that can be done but the tax is still needed. At 1.25 percent, Findlay has one of Ohio’s lowest municipal income tax rates for a city its size. Bowling Green is at 2 percent. Tiffin is asking voters on Nov. 6 to increase its 1.75 percent income tax rate to 2 percent. Ms. Mihalik said that when the temporary tax was approved, she did not know the state legislature would drastically cut local government funds. 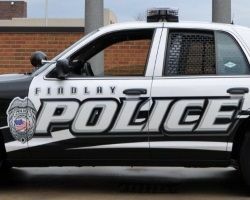 That reduction coupled with the loss of real estate taxes add up to about $2 million a year in lost revenue for Findlay. Findlay Ohio is a Republican utopia – low taxes, small government, and as business friendly as you get, yet even with a top 10 lowest county unemployment rate in Ohio, the city income tax revenues aren’t enough to offset the state cuts. Republicans have been saying low taxes and low regulations will grow the economy and increase tax revenues. Findlay is a case study that the model the GOP is selling doesn’t work and never has. The GOP in Congress cut taxes which forces states to cover costs like Medicaid and education. They don’t want to raise taxes so they cut the local government funds forcing cities and local taxpayers to make up the difference. Republicans pass the buck down to the local level to make themselves look good yet the taxpayers still have to pay for it. The tax is needed because the residents have a certain expectation for services to be provided. If the city has to layoff workers and reduce services the residents won’t be happy especially if their street is ignored during a snow storm because the city can’t afford to plow all the streets right away. What happens if a fire station is closed and the time added on for another station to respond to a fire leads to a needless loss of property or a life. People will not be happy. For Republicans who claim to want to run government like a business they seem not to know how business works. If your costs of production go up you either cut your production or raise your price. Taxes are the price we all pay for a certain level of service. You get what you pay for. Republicans should know you can’t get Champagne service on a soda pop budget. This entry was posted in Findlay, Hancock County, Politics and tagged false talking points, Findlay Ohio, Findlay Ohio Mayor Lydia Mihalik, GOP, income tax, tax cuts, trickle-down economics, utopia on October 16, 2012 by Doug. Um, while I disagree with the proposed increase your premise is entirely wrong. Mihalik did not make any significant spending cuts, mismanaged funds (communication director? ), and seems to be traveling more than any mayor I’ve seen. To say that the city’s money woes are due to republican policies is pretty myopic. The problem is government mismanagement of money. The items you point out have little to do with the overall fiscal health of the city. Findlay has a tax revenue issue not a spending issue. Like I said in my post “you can’t get Champagne service on a soda pop budget”. You have low unemployment, low city regulations, and a business friendly city government according to GOP values Findlay should not have budget issues. The city should be awash in tax revenue. It isn’t. The Business utopia model doesn’t work in the real world.